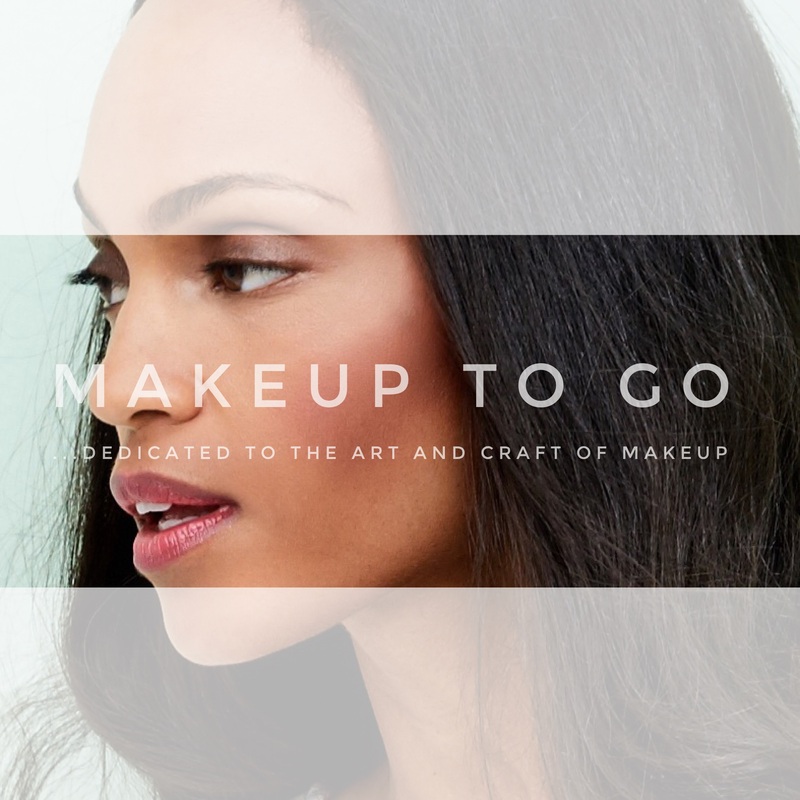 #MakeupMonday – The Makeup Show SF Pop-Up Show | Makeup to Go! Imagine my surprise, then, when it was announced at the Los Angeles Makeup Show this past March that there would be a show in San Francisco for the first time and that it would be happening at a time when I would be up in the Bay! I remember when The Makeup Show first came to L.A., bringing with it a mixture of expectation, anxiety and excitement. Some – myself included – were hyper critcal and expected our version of perfection. Others were just happy to have another show at which to shop. 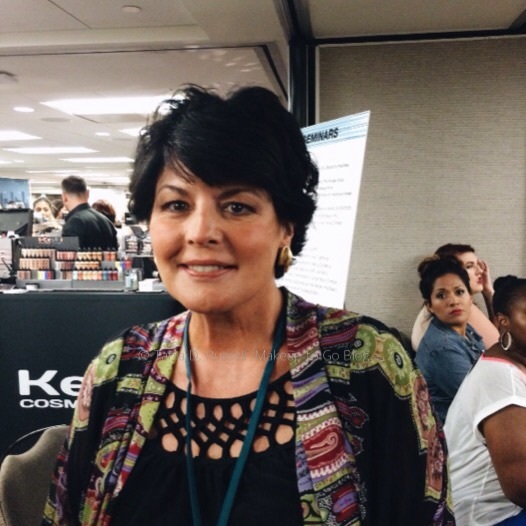 As is usually the case, the truth lay somewhere in the middle and 6 years later (in L.A. – the show itself started in NYC 10 years ago) The Makeup Show has more than proved its mettle, honoring its commitment to education and community building amongst Makeup Artists of all backgrounds. 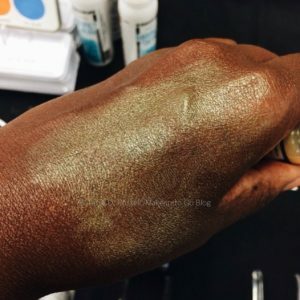 This past weekend, The Makeup Show brought its unique magic to San Francisco and presented The Makeup Show SF Pop Up Show. 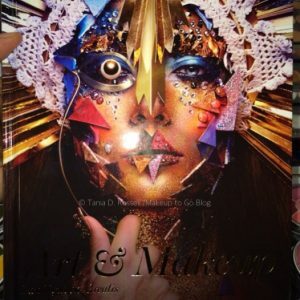 The Pop Up Show was a miniature “Try Before you Buy” version of the Makeup Show to test the waters of the SF artist community. If the turn-out is any indication, I’d say SF is on its way to having a full show in the near future. As always, my primary interest is in the education being offered at any given show. Even being the old saw that I am I can still find lectures/demos of interest and its always fun (for me anyway) to see how another artist goes about their craft. Alas I read the schedule incorrectly so I missed Eugenia Weston’s demo on Brows. Long before some of the other brands noted for their brow makeup came along, Eugenia Weston was there with Senna Cosmetics. She is a brow wizard, her brow products are fantastic (for real tho; the dark blonde and the medium taupe pencils are perfection), and the line has expanded into a full range including skin and color products (the Senna cream blush palette is amazing, I broke down and ordered one after the LA Makeup Show). I’m sure her demo was fab and I’m sorry to have missed that. 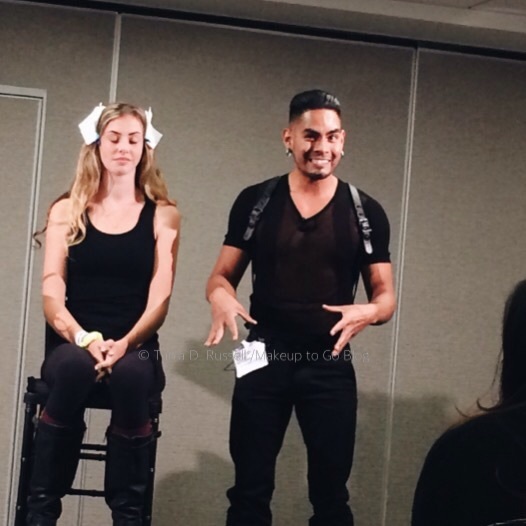 On Saturday, I was able to check out Ivan Betancourt for MUSE Pro doing an editorial makeup demo, entitled “Detailing Beauty”. As I am currently in SF teaching Runway and Photography makeup I was keen to see his take on Editorial. He did just the kind of edgy but clean makeup that I would also consider editorial. None of this over the top, spooky colors, heavy handed makeup that is seen online. This was clean, precise, and perfectly executed utilizing hits of color and texture to define the look. Well done! I enjoyed his demo thoroughly. On Sunday I arrived in time to take in a demo and a lecture. First up was Sian Richards doing a demo on “Makeup for All Ages”. LawedT this demo should have been required for every artist attending the show. Newsflash – if you plan to be a working artist, all of your clients will not be 19-23 year olds with youthful skin. In fact, who do you think has the money to pay for a makeup artist; one of your broke early 20-something friends or a 35+ y/o professional who is established in their career? Exactly. 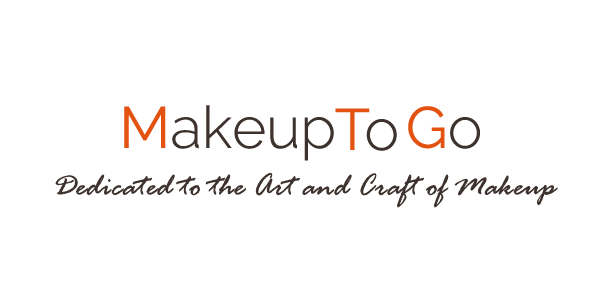 Sian Richards is an award winning vet of both beauty and film makeup of over 25 years experience, and she is also the founder of London Brush Company (amazing makeup brushes and brush cleaner). Her demos are the truth. She does not mince words or pull punches. As she was going on about the online makeup world – using such words as “horrid” and “wretched” – I could tell many of the young artists in the audience were taken aback if not outright offended. One young man even challenged her when Sian (pronounced “Sean”, BTW) stated that she did not need to use contour on her model because her model already had well defined cheekbones and she did not want to make her model look gaunt. Not going into a full highlight and contour session was more than some young artists could take! LOL! In the end, however, using very few products and a skilled hand, Sian Richards delivered a beautiful and age appropriate makeup for her lovely model. And as you can see, NO, the model did not “need” contouring. Artists would do themselves a favor to put down the defensiveness and pick up some of her technique. The workshop sessions ended with James Vincent (Dir. 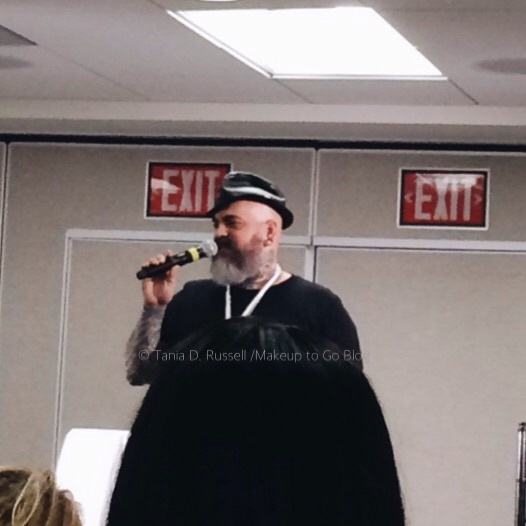 of Education and Artist Relations for the Makeup Show) giving a talk on Social Media, “Beauty and the Blog – Social Media and the Internet in the Beauty Business” . In fairness, this was a 45-minute version of a topic he normally does as a full-day workshop, so he had to scratch the surface of the topic. Given the severe time constraint he was under, he did a good job of going through the various Platforms (Twitter, Facebook, Instagram, and Blogging) and how they each uniquely contribute to an overall marketing and branding scheme for an artist. I will not go too far off into specifics – you should take his class – but what I thought was interesting was his observations of the whole “Instagram makeup” phenomenon. He was not as critical as some folks are (see above, lol) but he did make is clear that in order to be a working artist that approach alone will not get it done. If you’ve ever heard James speak at all, you know that one of his main beliefs is that in order to build a successful career, you’ve got to have a distinguishable signature brand. In this Social Media /Internet discussion, he is basically saying that your online presentation should be a tool to hep you articulate your signature brand. Frequently when I’m writing about the LA shows, I express how unfortunate it is that so many people focus more on shopping than on the amazing education available at the shows. After All, these are people at the tops of their fields who do not often have time to teach and if they did goodness knows how much a workshop they might offer would cost. 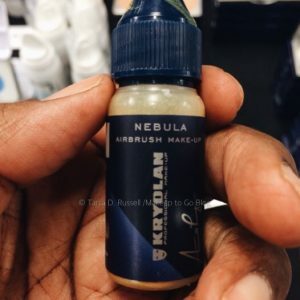 The situation is a bit different in San Francisco as artists in the Bay and surrounding areas do not normally have the same level of access to products and brands that we in Los Angeles (or those in NYC) do. 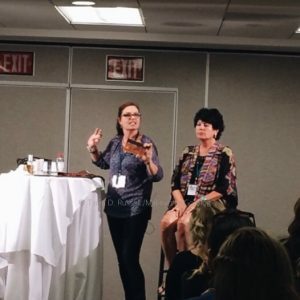 In fact the Makeup Show has started doing shows in different markets such as Dallas and Orlando, and I would have to think that for folks in those areas the shopping really is just as important as the education. For this inaugural SF show there were only around 50 vendors (its double that in LA and triple that in NYC), but they were quality purveyors such as NARS (who has a great boutique in SF from which I’ve made many a purchase), Anastasia of Beverly Hills, Senna Cosmetics and Bdellium Tools. The LA pro shop Frends Beauty Supply was there, San Francisco’s own MUSE Beauty Pro was there (and thew what I hear was a fabulous party on Saturday night, alas I could not attend), even Ricky’s and Alcone came out all the way from NYC. This being the first year, the show was open to the public as well as to the Trade. So I don’t know who all of those folks were, but that shopping was busy both days. Almost all of the vendors were busy, and the Big Name like Make Up For Ever, MAC and NARS were totally off the chain. The over-crowding was the complaint that most folks had, and I would say it was a fairly minor problem. My hope going forward is that they either make this show for the Trade as it is in LA (and I believe NYC) or that they move to a different Ballroom in that same location, or ideally both. I understand that it needs to be busy in order for vendors to want to return to the show. For me as a Pro, it was a bit frustrating to not be able to get to many booths to really play with the product. Hence I do not have a more comprehensive run-down of what I saw. In time, however, I am sure this will all be worked out. I DO want to implore the organizers to STAY IN THAT LOCATION PLEASE!!! It’s totally central and easily accessible by BART and MUNI. Please do not move the show to some far out corner of the City. © 2015 – 2016, Tania. All rights reserved. Tania! It was great to see you, and I wish I could have attended the lectures/demos. I spoke with James after the show on Saturday and he said he was going to look into making the show a yearly thing in SF, hopefully it doesn’t move too much from where it was located. I spoke to JV and he told me the same so I look forward to seeing how this show develops. Just PLEASE don’t move to some remote, no parking part of the city, please! LOL!